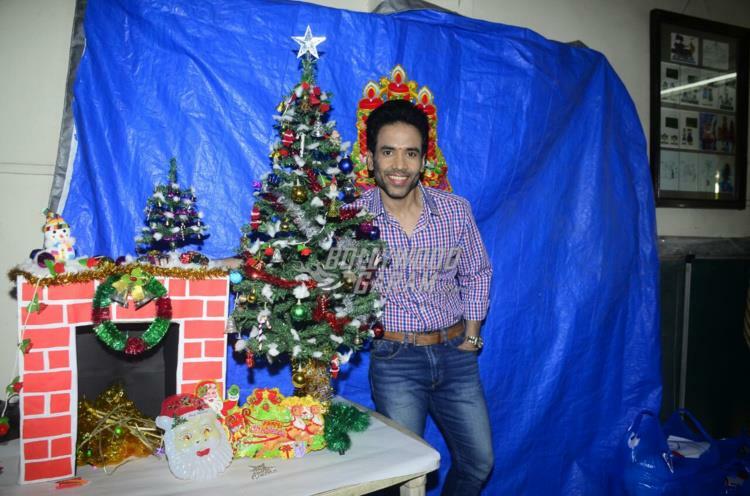 Bollywood actor Tusshar Kapoor turned Santa Clause for the children of the Smile Foundation in Mumbai on December 20, 2017. 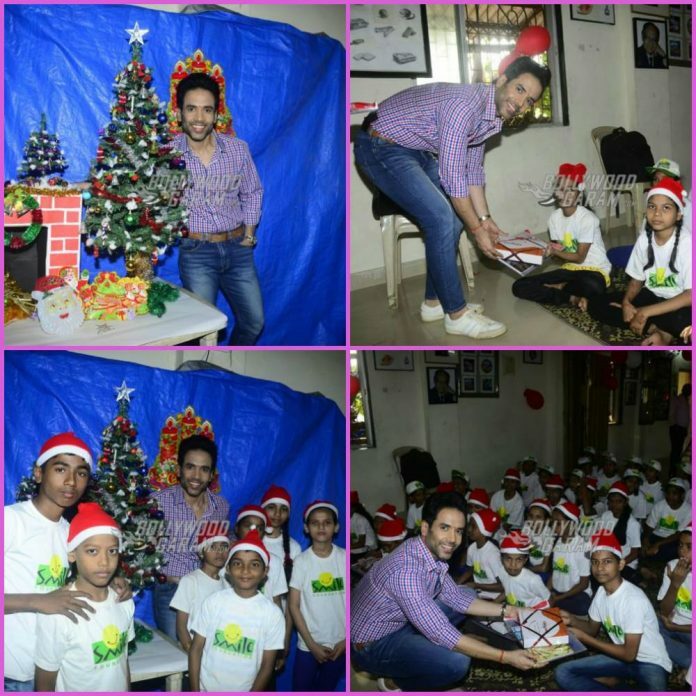 The actor celebrated Christmas with the children and shared a few gifts on the occasion. 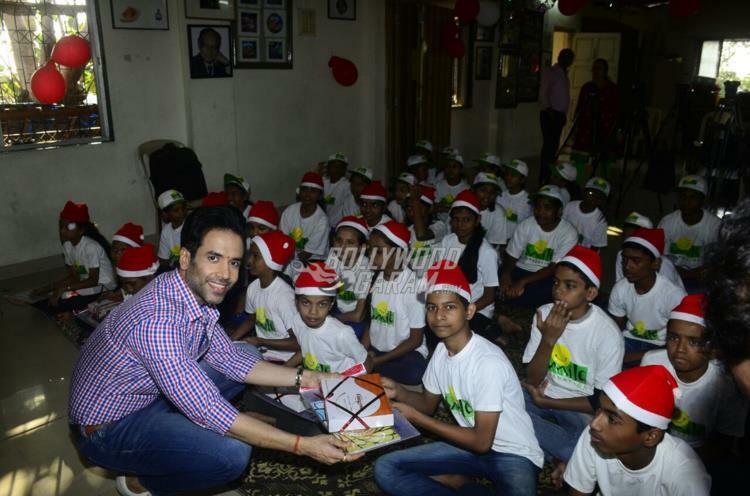 The children looked great as they wore Santa Clause caps with Smile Foundation t-shirts. 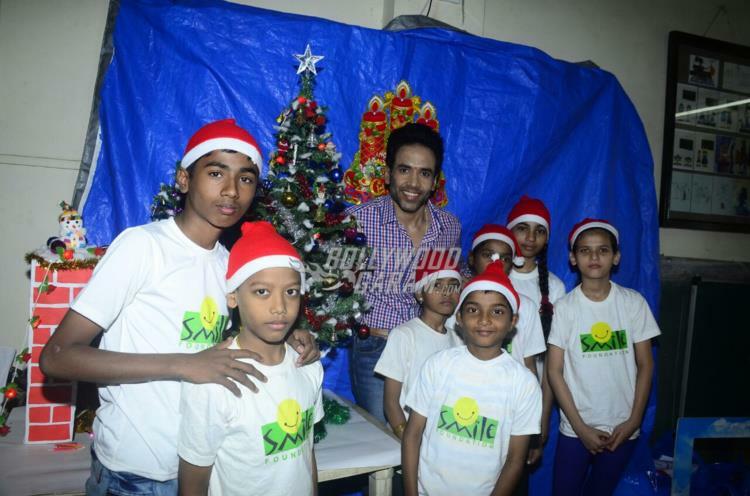 The actor posed for pictures with the children and spent some quality time. Going by the pictures, it can be seen that the children surely enjoyed the presence of the stars, who shares plenty of gifts with them. The Golmaal Again star is now a single father to Laksshya Kapoor, who was born through a surrogate mother. Tusshar’s son and Kareena Kapoor’s son Taimur Ali Khan are good playtime buddies and often spend time together on a play date. The actor was last seen in the film Golmaal Again directed by Rohit Shetty and had a successful run at the box office. The film also starred Ajay Devgn, Parineeti Chopra, Tabu, Shreyas Talpade and Arshad Warsi.